Rapid Release. The AR Rapid Release replaces your AR rear takedown pin to be used as a fast-action lever for quickly separating your upper receiver from the lower receiver. This can be used in conjunction with the Patriot Mag Release for more efficient, legal California compliant magazine reloading in 2018 and forward. THE BULLET BUTTON® SPEED FUNNEL WAS DESIGNED TO GIVE A LARGER SURFACE AREA TO APPLY A TOOL TO IN ORDER TO RELEASE YOUR MAGAZINE ON YOUR CA COMPLIANT AR-15 & AR-10 PLATFORM RIFLES. 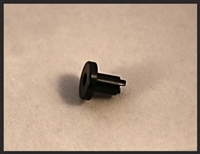 AR15 / AR10 BULLET BUTTON INSTALLATION TOOL. 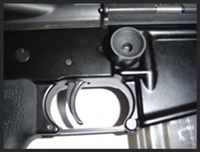 THIS TOOL IS TO HELP EASILY INSTALL YOUR AR-15 / AR-10 BULLET BUTTON. HARRIS BIPOD CANT STOPPER. MACHINED OF 6061 BILLET ALUMINUM AND IS ANODIZED BLACK. PHASE 5 TACTICAL MAGNET RELEASE TOOL. 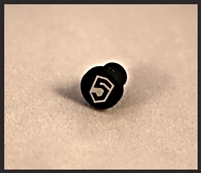 THE PRINCE50 AR15 / AR10 WONDER WRENCH IS A TOOL TO MAKE INSTALLING AN AR BULLET BUTTON ® A SNAP. IT DOUBLES AS A MAG RELEASE BUTTON WHEN OUT OF CALIFORNIA. IT IS MADE OF BILLET ALUMINUM AND IS ANODIZED BLACK.